When three trees dreamed of what they wanted to become when the grew up, they couldn’t imagine how the outcome would exceed their wishes. The first tree wanted to be the most beautiful treasure chest. The second tree requested to become a strong fishing boat. The third tree desired to be the tallest tree on the mountain, pointing all who looked at her to God in heaven. Years passed. The rains came, the sun shone, and the little trees grew tall. One day three woodcutters climbed the mountain. With a swoop of his shining axe, each woodcutter cut down a tree. The first tree was brought to a carpenter’s shop and made into a feedbox for animals. The second tree was taken to a shipyard and built into a simple fishing boat. The third tree was cut into strong beams and left in a lumberyard. The three trees almost forgot all about their dreams UNTIL one night, the first tree felt golden starlight touch her while a young woman placed her newborn baby in the feedbox . . . And suddenly the first tree knew he was holding the greatest treasure in the world. The second tree was used to hauling smelly fish, UNTIL one night, a tired traveler and his friends crowded into the old fishing boat. A thrashing storm arose, but when the man said, “Peace”, the storm stopped. . . And suddenly the second tree knew he was carrying the King of heaven and earth. The third tree was startled when her beams were yanked from the forgotten woodpile. She felt awful when a man’s hands were nailed to her. . . But on Sunday morning, when the sun rose and the earth trembled with joy beneath her, the third tree knew that God’ love had changed everything. It had made the first tree beautiful. It had made the second tree strong. They would think of God. Their dreams were alive after all in ways that exceeded their imaginations! F– Do you think the three trees felt happy with what they became when they grew up? R- Can you relate to the three trees when they were disappointed at first because they didn’t get what they wanted? What did they realize later on in the story? “I want to _____________ when I grow up.” Realize there is a special plan for your life and that the times when it seems your dreams aren’t coming true, something even better than you imagined may be coming together! 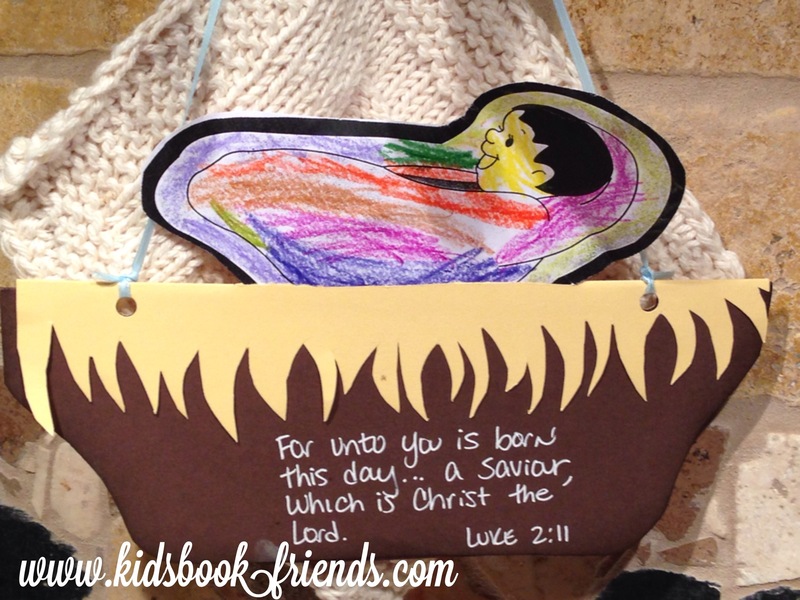 N- Navigate your way through Luke 2, Luke 8 and Luke 23 in the Bible to read the stories about the baby born in the manger, the King in the fishing boat, and the One whose hands were nailed to the tree. 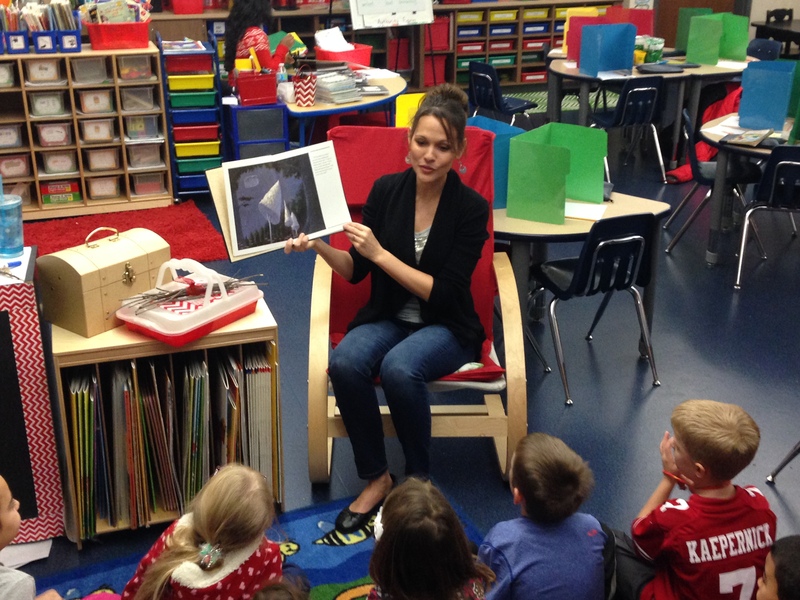 D- Develop a hands on Christmas tree craft: Handprint Christmas Tree and more . 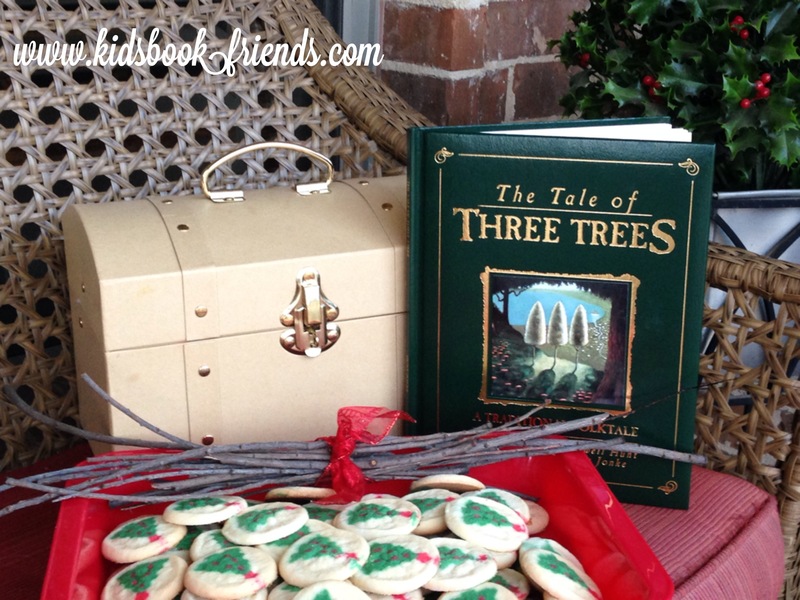 . .
S- Share this story accompanied with some Christmas tree cookies carried in a treasure box so kids will treasure the story even more! *To receive free, educational kids’ book guides and ideas, please “Like” Kidsbook Friends on Facebook and follow http://www.kidsbookfriends.com by subscribing via e-mail! This entry was posted in Christmas, Easter, trees and tagged Angela Elwell Hunt, children's books about trees, Christmas story, christmas tree cookies, Christmas tree crafts, Easter story, Lion Children's Books, manger crafts, The Tale of Three Trees, Tim Jonke, Traditional Folktale, treasure box. Bookmark the permalink. This looks wonderful, Angela! I need to get a copy of this book!